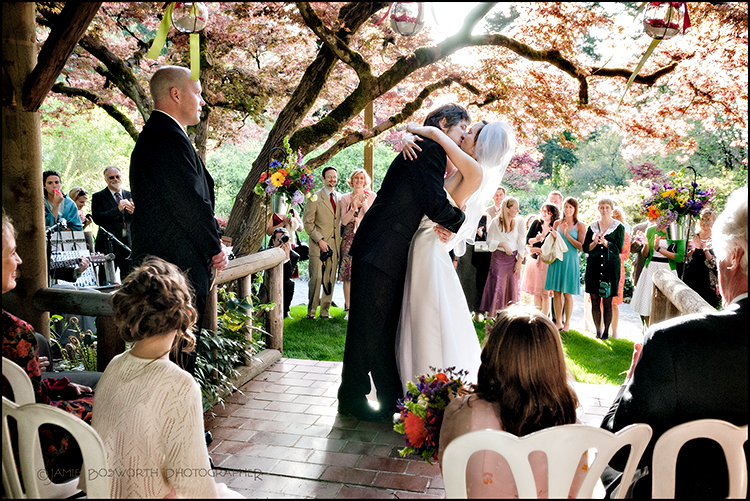 So, in hopes of spreading a little cheer, I am posting a photograph from a past Spring wedding… Jenkin’s Estate has this lovely teahouse behind the elegant main house and on this fresh April day, everyone was happy to be standing in the early sun watching two wonderful people make it real. Are you planning a wedding? Have you taken into account all of the possible flavors of weather you might encounter? I ask because, lately, our tried and true local weather has become less predictable. Portland’s longtime favorite wedding month of August is now likely to bake you right out of your mind. Maybe it’s time to move some of these events over into the shoulder seasons of early Summer or late Fall or to at least consider venues with indoor/outdoor options. This entry was posted in Wedding Posts and tagged April wedding, August wedding, elegant, pacific northwest, Portland Wedding Photographer on March 30, 2017 by admin.